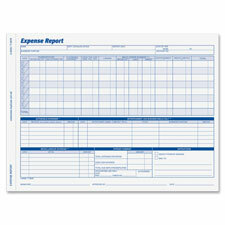 The weekly expense report unit set allows you to record all business-related expenses. Detailed charting offers helpful prompts for thorough reporting. 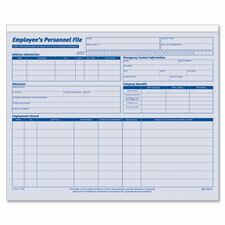 Two-part carbonless forms offer a paper sequence with originals in white and duplicates in canary. Employee Personnel File Folder is complete with space for employee address and emergency information, education, employment record and company benefits. File folder is printed on cardstock for durability. 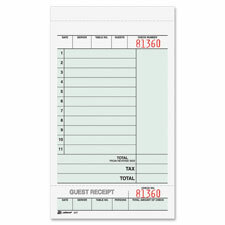 Two-part guest checks feature carbonless sheets so you and the customer have a copy of the order and price. Part one prints on white bond for a professional feel. Part two prints on white tag for a durable record. Consecutive numbering at top of form and on stub helps you keep organized. Perforated stub serves as guest receipt. Back printing on part two can be used for beverage orders. 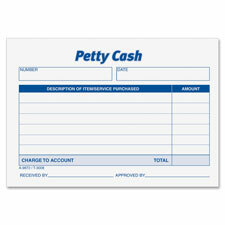 Document petty cash transactions with this handy, Petty Cash Receipt Pad. One-part design offers a gummed left hand side for easy access. Each form is printed in blue ink on 15 lb. white paper. Each pad includes 50 sheets. 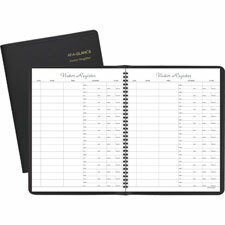 Track your monthly business or personal vehicle mileage with this easy-to-read, vehicle mileage log. 31 entries per month on two-page spreads ensure all trips can be recorded. One page includes a column for the date and the destination/business purpose. 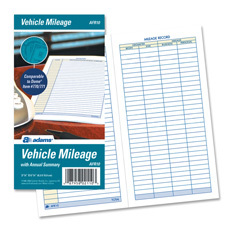 The other page includes columns to record the mileage details in four columns for odometer begin, odometer end, business mileage and personal mileage. Vehicle mileage log also includes a year-end summary as well as space for other expenses incurred. Interior printing is designed to reduce eyestrain.